How good was this book? 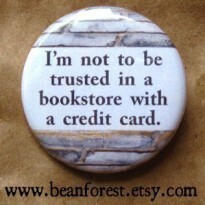 Well, I started reading it on Thursday night and finished on Friday. That's right, I finished all 369 pages in 24 hours. Total reading time was about 5 hours, since I had to do annoying things like sleep & work. There are mild spoilers in this review, so if you don't want to know anything about the details of the book, go no further - just take my a word for it that this is excellent and run out to buy a copy right now. Still with me? Ok, let's get into specifics. What makes this book so good? 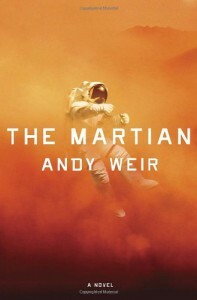 The main character, Mark Watney, is sarcastic, funny and doesn't take anything too seriously while moving the story along, which keeps the story from becoming either a dry, boring, technical science-y, snooze-fest for us non-scientists or an overly serious downer given the long odds he faces. and the boredom and monotony of being stranded on Mars alone. The problems were never too devastating, thanks to his gallows humor and ability to recover from mistakes and/or events outside his control, which requires a SERIOUS balancing act to keep his recoveries believable. He's resilient. I also liked that the science was explained in a way that was easy to understand. A lot of books fall into the trap of being too technical for non-science people, which, while correctly analyzing scientific problems & solutions, leads to boredom or skimming. The author, through Mark, broke the science down in a way that makes it easier to understand why he's doing what he's doing without making it patronizing. That's tough and I commend him for it. The supporting characters are also great, especially considering the fact that they don't get a ton of page time individually for their development. We learn a lot about the other members of the Ares 3 crew from Mark rummaging through the items they left behind. Later in the book you get their perspectives to fill in the gaps in Mark's perceptions. The NASA staff feel like real people you'd expect to work for NASA - crazy-smart, a little nerdy, and full of individual quirks. Overall, I can't say enough good things about The Martian. I hope Andy Weir keeps writing for a long time, since I'm looking forward to seeing what he comes up with next.